The MSRTC Pune division depot has also received four shivshahi buses and they will also flagged off at the same day. 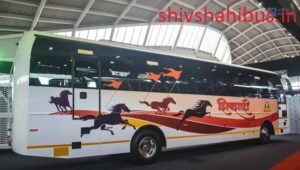 Nashik to pune shivshahi bus fare ( Rs 346) which will fill the gap between the semi luxury (nashik to pune MSRTC fare Rs 315) and luxury bus fare (Rs 615). At present 13 Hirkani buses are running on Nashik-pune route and making 30 trips on both direction. 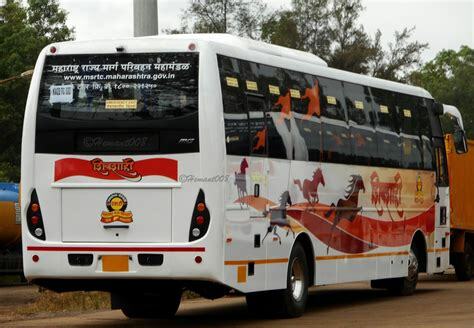 Few of these Hirkani buses also replace by Shivshahi buses within some months after getting all 20 shivshahi buses. Please share this post with your friends and family to spread awareness about new class of MSRTC buses. MSRTC helps people living in Maharashtra travel within the state. At the same time, MSRTC helps connect people of Maharashtra with neighbouring regions of Andhra Pradesh apsrtc online booking, Gujarat, Madhya Pradesh, Rajasthan and Karnataka. The most frequented route by MSRTC buses is the route from Dadar to Pune.